Millions tuned in to watch the 2014 Miss World Beauty Pageant on Sunday, December 14th, as 120 lovely contestants from across the world graced the stage of the EXCel ICC Auditorium in London, England. 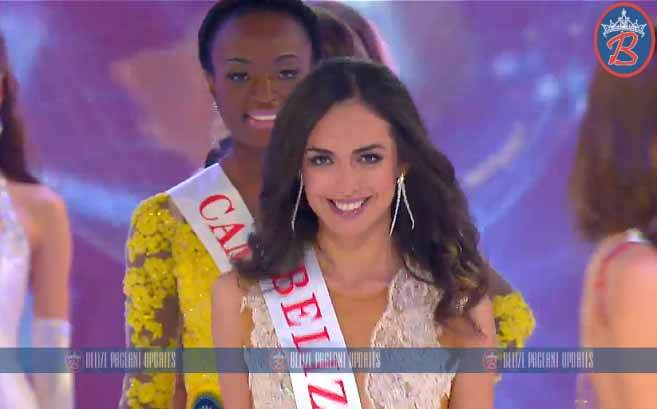 Among the contestants was 21-year-old Sanpedrana, Raquel Badillo, proudly representing her country, Belize. After over a month of activities, the title of 2014 Miss World went to Miss South Africa Rolene Strauss. Even though Raquel did not take the crown, she certainly captured the hearts of her audience and even won the Kattera People’s Choice Award (an unofficial Miss Word popularity poll). Kattera, a beauty pageant blog, hosts a poll to determine who their readers believe should win the crown. After over a week of voting, Raquel won the top spot with 47.7% of the votes. Other top five finalists in the Kattera People’s Choice Award were Miss Trinidad & Tobago Sarah Jane Waddell in 2nd with 22.44% of votes, Miss Ghana Nadia Naa Ntanu in 3rd with 11.66% of votes, Miss Philippines Valerie Weigmann in 4th with 9.89% of votes and Miss India Koyal Rana in 5th with 1.06% of votes.